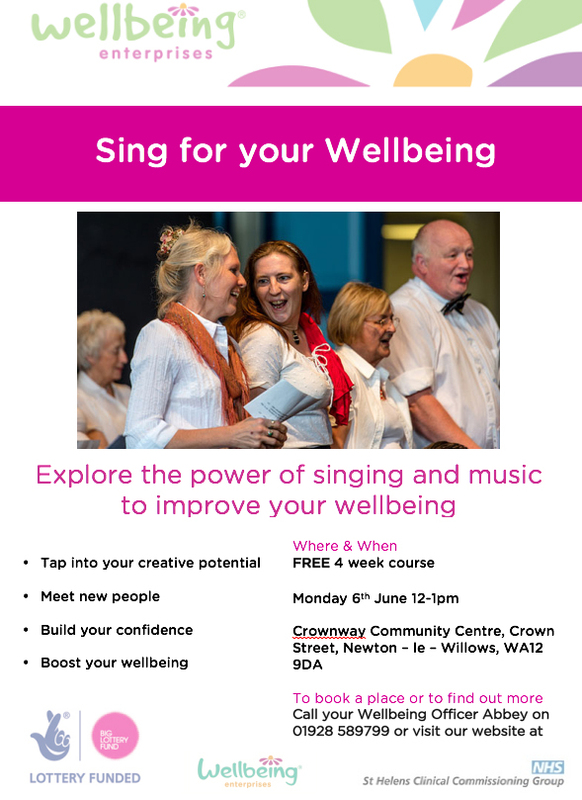 Explore the power of singing and music to improve your wellbeing at Crownway Community Centre. Starting Monday 6th June 2016 (12pm-1pm) for four weeks, come along to these FREE taster sessions delivered by Wellbeing Enterprises. Tap into your creative potential, meet new people, build your confidence and boost your wellbeing!